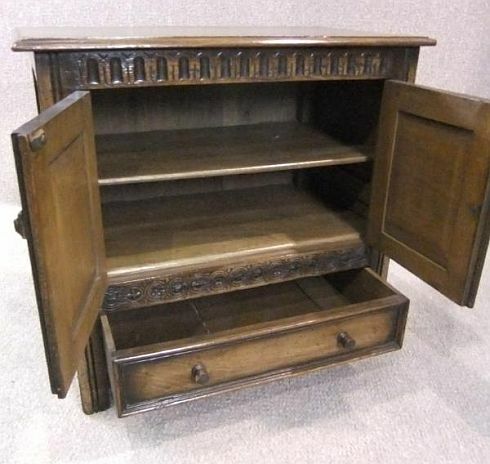 A beautiful Jacobean revival 2 door period style cupboard, with decorative carving to front. 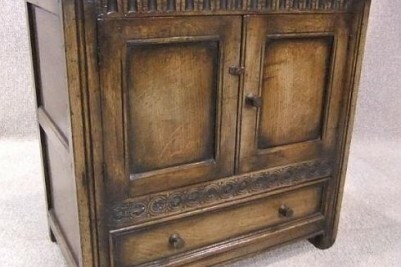 It has two fielded panel doors, a single drawer to base, and a single shelved interior. 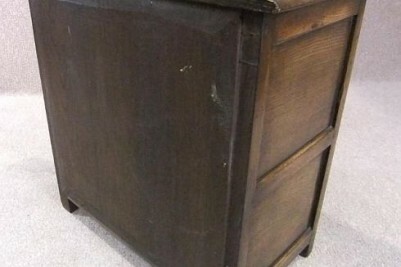 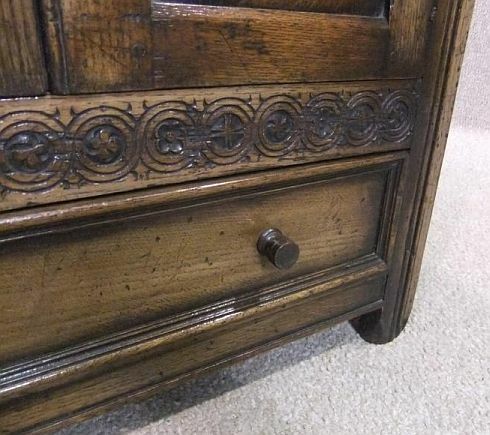 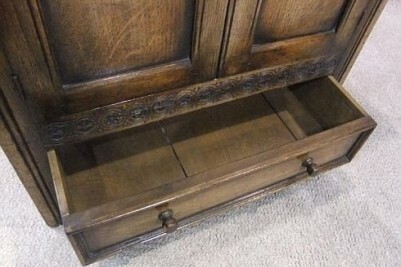 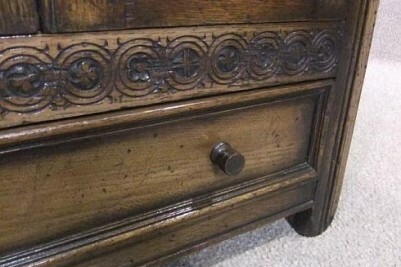 It also has panelled sides with traditionally pegged joints. 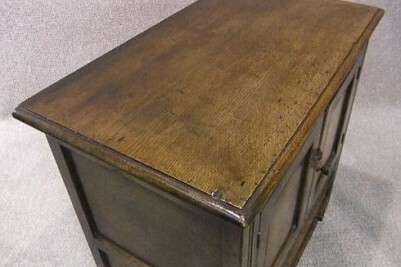 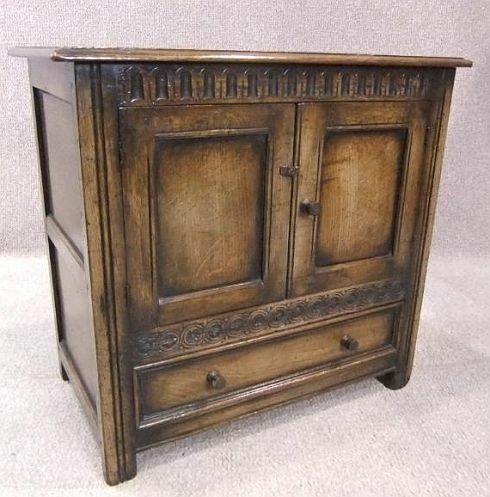 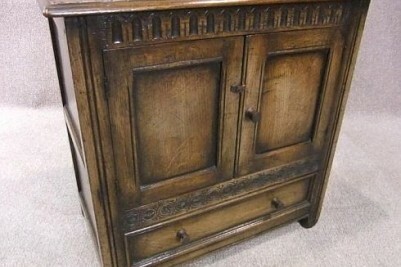 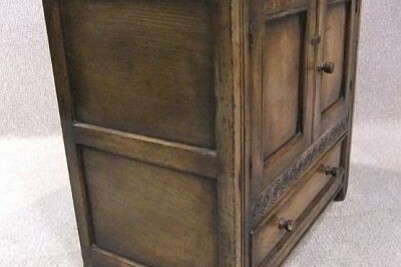 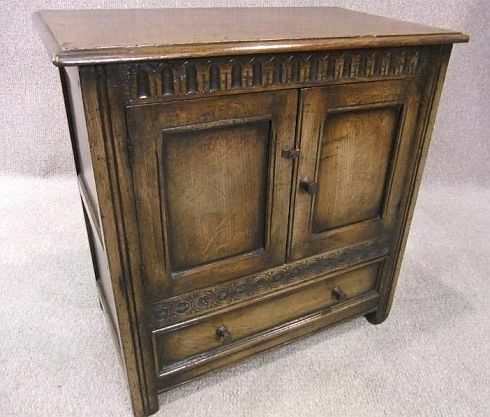 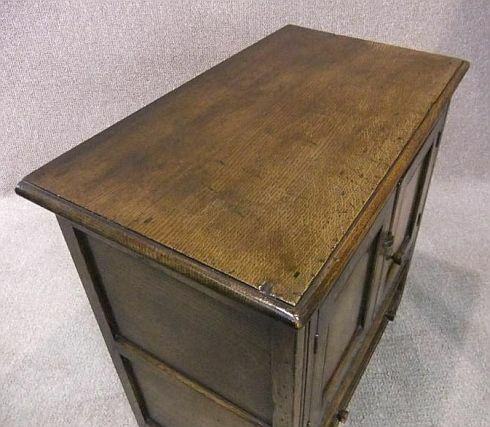 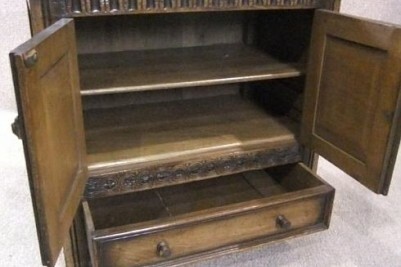 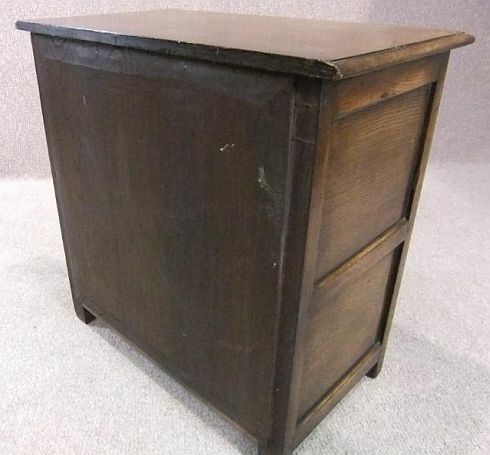 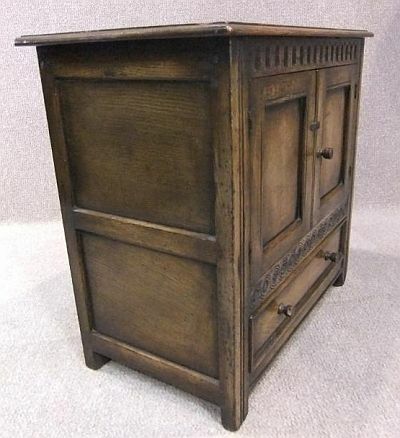 This circa 1920 antique oak cupboard is in lovely condition for its age, and would suit any period style interior.